Now that you have invested so much time, money and effort into remodeling or building your new office space, or new home - we're certain you'll want its final presentation to be clean and beautiful. The smart money is on outsourcing construction cleaning. Consider our affordable post construction cleaning service. It's perfect for any construction company of any size and for any job small or large. Our prices are not only affordable they are the most affordable cleanup service you can hire in the Bay area. San Francisco’s post construction clean up experts! 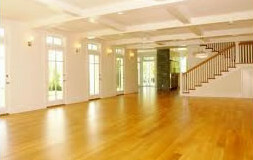 With Adriana Cleaning you can move into your new construction home, office or business with a good feeling of pride.